11:00, ESPN2. Siena @ Marist. 12:00, CBS. Oklahoma State @ Texas Tech. 12:00, ESPN. Syracuse @ Providence. 1:00, ESPN2. Charleston @ Georgia Southern. 2:00, CBS. Pitt @ Georgetown. 2:00, ESPN. Illinois @ Penn State. 3:30, ABC. Georgia Tech @ Virginia or Marquette @ Notre Dame or Gonzaga @ San Francisco. 4:00, CBS. Florida @ LSU. 4:00, ESPN. Rutgers @ Villanova. 4:00, CSTV. Southern Mississippi @ Tulane. 4:00, ESPNU. Texas @ Oklahoma. 5:00, ESPN2. Wichita State @ Creighton. 6:00, ESPN. Iowa State @ Kansas. 6:00, ESPNU. Xavier @ Dayton. 6:00, FSN. Stanford @ UCLA. 6:00, CSTV. BYU @ San Diego State. 9:00, ESPN. Indiana @ Michigan State. 10:30, FSN. Washington @ Oregon. 10:30, CSTV. Santa Clara @ Loyola Marymount. 12:00, ESPNU. College Lacrosse. Albany @ Johns Hopkins. 12:00, NFL Network. NFL Scouting Combine: Kicker, Offensive Line, Tight End. 12:00, Fox Soccer. Premiership. Everton vs. Watford. 2:00, ESPNU. College Lacrosse. 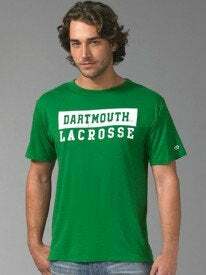 Dartmouth @ Duke. 2:00, Comedy Central. Movie. The Original Kings of Comedy. 2:00, NBC. PGA Golf. WGC Accenture Match Play Championship, Semifinals. 3:00, ESPN2. NASCAR. Busch Series. Stater Brothers 300, Qualifying.